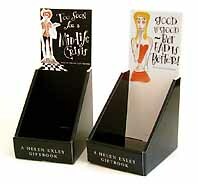 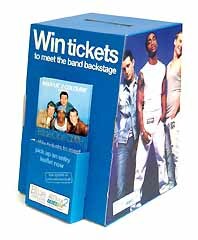 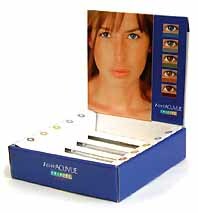 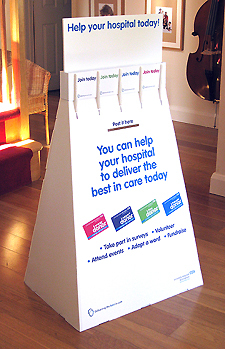 We make all kinds of dispensers, for leaflets, booklets, game cards, scratch cards, and products. 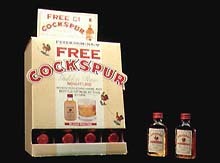 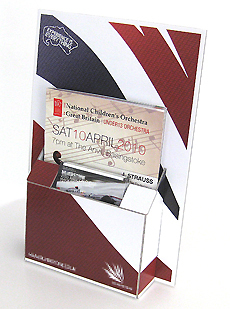 We can produce dispensers for up to A5 size leaflets in small quantities using digital print. 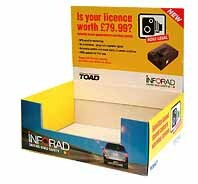 Please contact us for more information or prices.